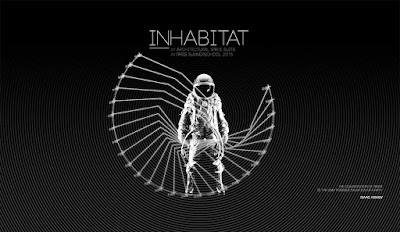 An architectural space suit performs several functions to allow its occupant to live safely and comfortably, inside or outside a space. It’s the combination of complex equipment, designed to keep the inhabitant comfortable, integrating multiple layers of environmental control and communication systems, all employed to allow complete freedom of movement and interaction. We call those spatial and human hybridizations - Inhabitats. The Advanced Architecture Summer School (Paris, Aug17-Sep 4) at VOLUMES coworking is a 3-week learning experience designed as an immersive journey in social innovation, computational design, digital fabrication, and collaborative culture. The summer school is organized by VOLUMES coworking, Noumena Architecture and Francesco Cingolani who is an architect, teacher and director of the new Advanced Master Program in Computational Design and Making of the prestigious École Nationale des Ponts et Chaussées.